My favorite thing in the world on a cold and dreary day is a grilled cheese sandwich and tomato soup. It warms you up, it’s filling, and you can never go wrong with cheese. 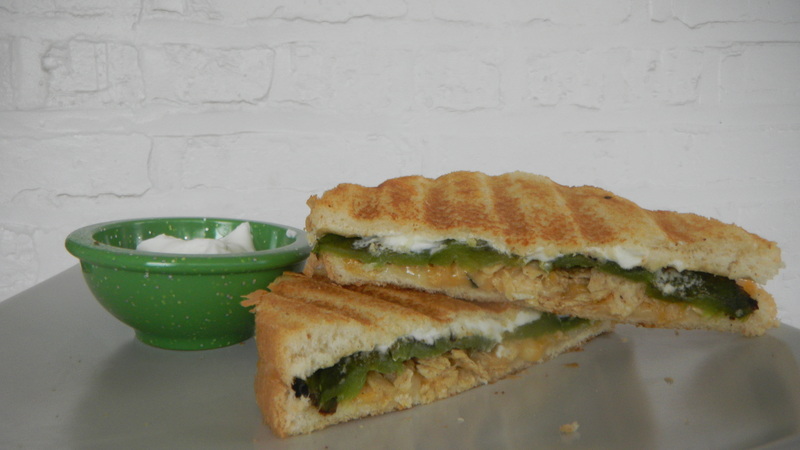 Then, I came across this recipe for a grilled jalapeno popper sandwich. It sounded like a more grown up version of my tried and true grilled cheese, so I decided to give it a try one rainy fall day. Definitely a five star recipe. 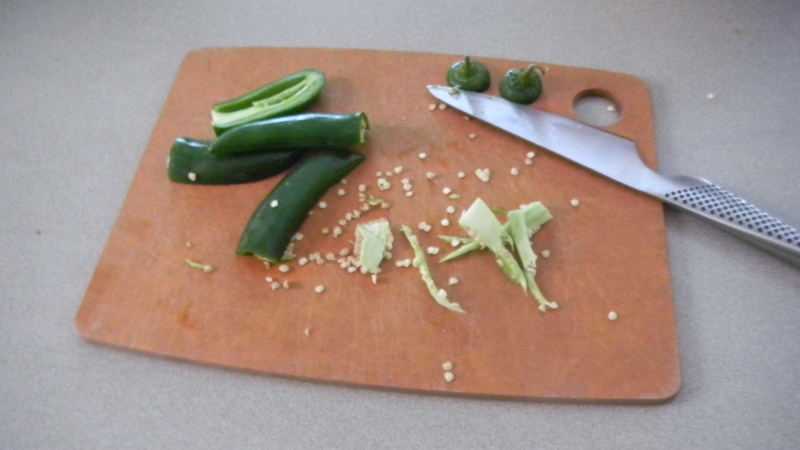 Start by washing and seeding a jalapeno. You’ll need two jalapenos per sandwich. 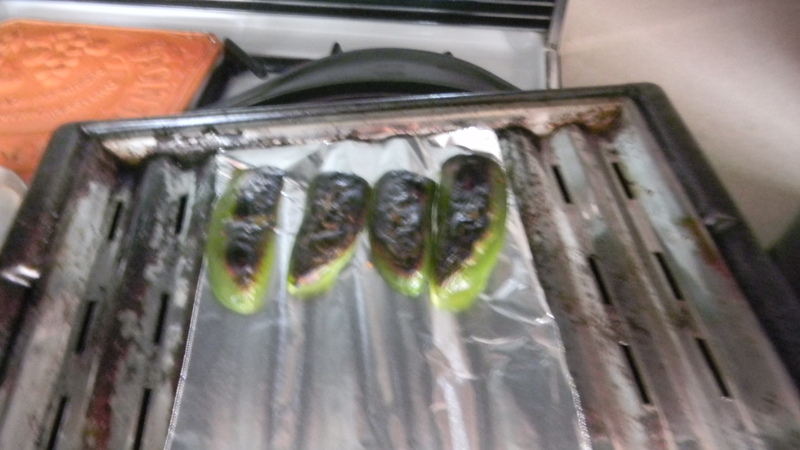 Broil the pepper for about eight minutes. 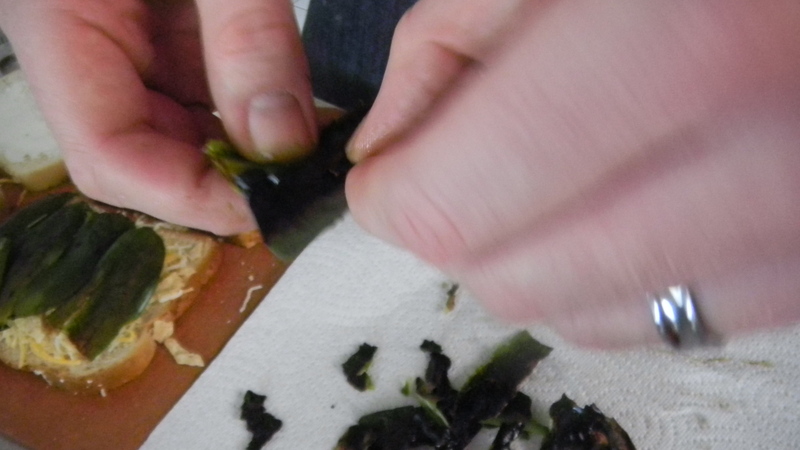 Put the jalapeno in a sandwich bag (zipped closed) for about twenty minutes and then peel the skin off. Meanwhile, start work on the sandwich. 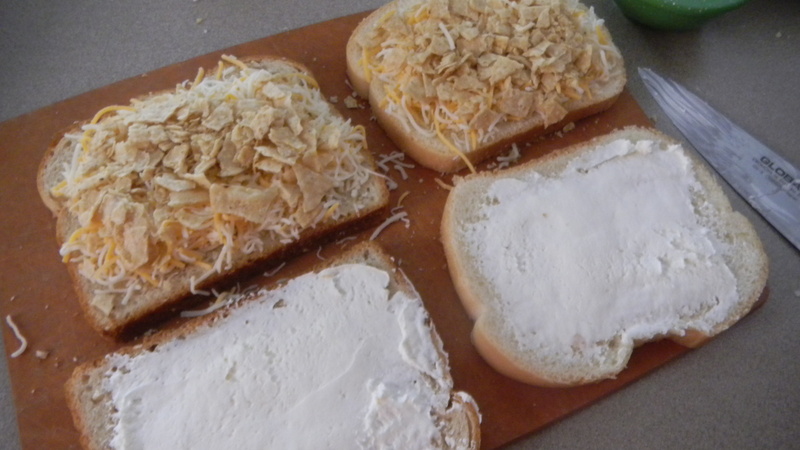 On the bread, smear some cream cheese, put on some cheese, and crush up some tortilla chips and toss those on as well. When the peppers are ready, add those on the bread and make your sandwich. Finally, cook it like you would a grilled cheese sandwich. 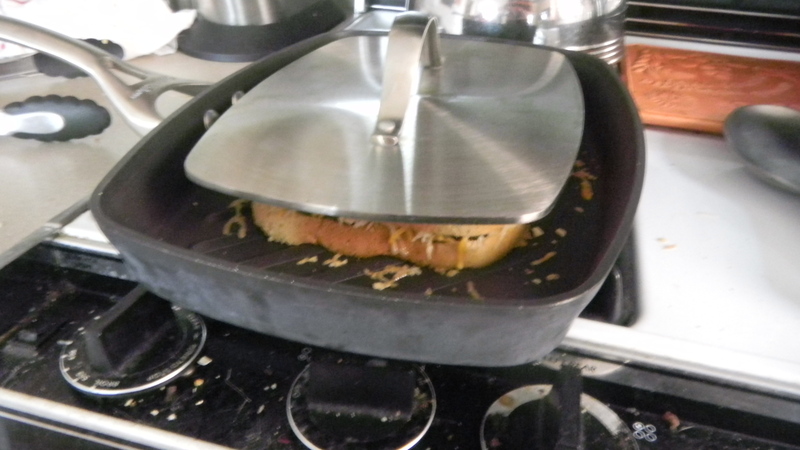 We used out pannini press pan. To make this just a teeny bit healthier for you, I used cooking spray instead of butter when I made it. Tasty on its own, but I paired mine with some sour cream and some butternut squash soup. A perfect, and quick, fall meal.